According to the American Thyroid Association, one in eight women will develop a form of thyroid disease. (1) Are you one of them? I was shocked to get my own diagnosis a few years ago! But knowing if you have thyroid problems will help you make targeted healthcare choices that get results, rather than just hanging out in ‘symptom land’ for years on end. Learn the warning signs and symptoms of thyroid problems in women, the times in life you are most likely to develop a thyroid condition, the root causes, and the best thyroid lab tests to get a diagnosis. The first three signs are signs of LOW thyroid function, which is the more common form of thyroid dysfunction. The signs of thyroid weight gain and thyroid hair loss are often the most distressing for our clients. The last three signs are signs of HIGH thyroid function. Sometimes a patient will swing from signs of low function to hyperfunction. You’ll learn more about this later. 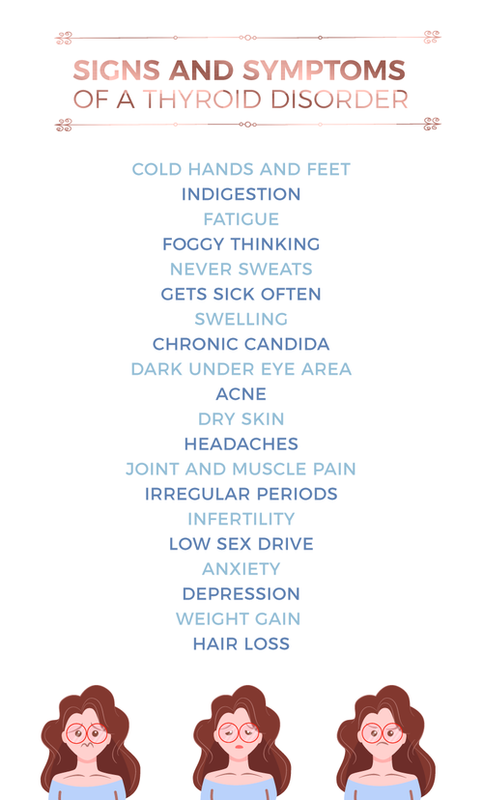 Many of these symptoms could overlap with other health conditions. And many people who have a thyroid condition also have another health challenge. Let’s look at the roots and triggers for thyroid disease and learn how it develops. The thyroid gland is a butterfly-shaped gland in your neck that produces hormones that influence metabolism and more. Most cells in the body respond to thyroid hormone in some way. Authors Nussey and Whitehead state in their publication, Endocrinology: An Integrated Approach, “In most tissues... thyroid hormones stimulate the metabolic rate by increasing the number and size of mitochondria…” (3) Thyroid hormones produce energy for most processes in your body. Thyroid hormones are produced at the command of your hypothalamus/pituitary axis. This axis releases a hormone called TSH (thyroid stimulating hormone) to stimulate your thyroid to make hormones. The thyroid then produces hormones called T1, T2, reverse T3, T3 and T4. As T4 leaves the thyroid gland, it needs to be converted to T3 in the blood, kidneys, liver and intestines. The hormones T4 and T3 are bound by proteins that carry them in the bloodstream. They must become unbound or ‘free’ in the last step before they can bind with their hormone receptors in cells throughout the body. There are many steps that can go awry in this process of thyroid hormone production. The most common cause of thyroid disease is autoimmunity. The most common autoimmune thyroid disease is Hashimoto’s thyroiditis. Hashimoto’s disease symptoms match the ones I outlined above. Hashimoto’s usually appears as low thyroid symptoms, but as the body attacks the thyroid gland, thyroid hormone is released, and symptoms of hyperthyroidism can appear. The other autoimmune disease that affects the thyroid is called Graves’ disease. This is less common, and it’s marked by signs and symptoms of hyperthyroidism, like insomnia, racing heart, and rapid weight loss. Understanding why autoimmunity happens, and how to reverse it, is much more complex. Autoimmunity occurs due to a mixture of genetic predisposition and environmental factors. Autoimmunity is very much on the rise in our time and it’s likely thanks to our fast-paced, high-stress lifestyle combined with new chemicals and triggers in our environment. Most functional practitioners include a focus on the gut as leaky gut can allow peptides to enter the bloodstream and dysregulate the immune system, and because some gut infections are linked to autoimmunity. 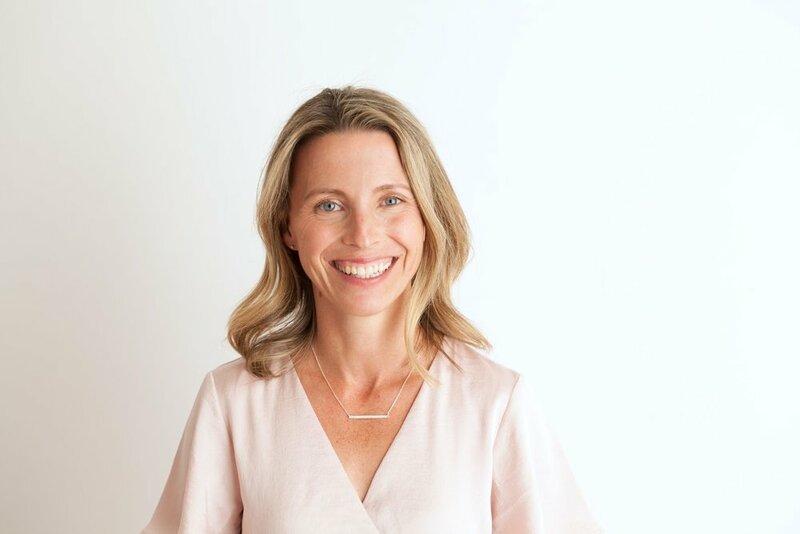 (6) Dr. Izabella Wentz, a New York Times best-selling author and Hashimoto’s expert, focuses on gut hygiene and pathogen eradication in her work. Beyond the gut, I have observed toxins like indoor toxic mold help trigger autoimmunity. It is a part of my own story with Hashimoto’s that you can read more about here. The most common times in a woman’s life to be diagnosed with autoimmunity are after childbirth, after a major stress, after breast implant surgery and as she shifts into menopause. Unraveling the why of autoimmunity in each case is where functional medicine shines, and where conventional medicine is left in the dust. Conventional medicine will just manage your medication for the rest of your life. And the trouble is that, even when given thyroid hormone, you may not feel better. Functional medicine blends the best of modern testing techniques for thyroid, mold, nutrition, gut infections and more with a holistic approach of treating the whole person with lifestyle, nutritional therapy and targeted supplementation. A conversion issue, in which the health of the the body’s cell, liver or gut are not supporting sufficient conversion to active thyroid hormone. These other thyroid issues can all be addressed with functional health care as well. Since thyroid symptoms are so overlapped with other conditions, you cannot self-diagnose by symptoms; you need to test. A thyroid function test is easy to access. It’s a simple blood panel that can be drawn at any lab. Nowadays, there are many companies that offer options to order a test online yourself. One of my favorites is from Life Extension, which you can check out here. Why would I bring this up and not just say, “go see your doctor”? Most doctors are not trained to look at your thyroid problems from the vantage point of best function. We have had scores of women come to us with incomplete thyroid lab test results, or reporting their doctors would not agree to run full thyroid labs. Most conventional doctors are trained to look at the thyroid from a broad view, and are not advised to test for autoimmunity to boot. This is how your thyroid labs may appear ‘normal,’ but you still feel like crap. And this is why I recommend to test your thyroid with a functional health provider like us. If your health care provider’s views match your own, you will have a much better experience and outcome. The image to the right details the tests to run if you think you may have low thyroid function. This battery of tests will give you a sense of where the cascade of thyroid function failed you. Was it right away, in the brain? Was it a conversion issue? Do you have autoimmunity? 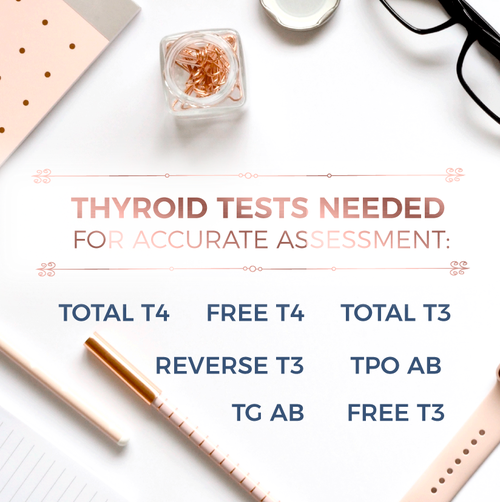 If you suspect you could have Graves’ disease or hyperfunction of the thyroid, please request the thyroid stimulating immunoglobulin (TSI) in addition to the other tests. So you had your full thyroid panel run; that’s great! If you were paying attention to this article, you’ll realize that addressing thyroid imbalance may be complicated. A couple additional tests help can round out the picture and give you a very clear and targeted protocol for healing. A targeted protocol of nutrition, lifestyle practices and supplementation will get you results much faster and will save money and time in the long run. Ready for more support? Let us help you feel better! As functional health coaches, we are trained in proper thyroid testing and healing protocols. Also, we would love to meet you! Check out our coaching options here. Older PostAre There Heavy Metals in Your Lip Gloss?